A suspected fraudster has landed in serious trouble after his father reported him to the EFCC. The Economic and Financial Crimes Commission, EFCC Kaduna Zonal office has investigated a case of conspiracy and theft reported to the Commission by an exceptional father. The father (name witheld) in April 2017 became a whistle blower after his son (then a secondary school student) intimated him that he had bought a house and a shop valued over N2 Million (Two Million Naira) only. The information of the purchase shocked the father beyond his imagination as such he decided to make a formal complain to the Commission having perceived signs of fraud from his son’s explanantion of how he got the money. His son, Adamu, said he got the money through his phone line which after purchase he began receiving alerts running into millions of Naira. Investigations into the matter began immediately and all parties involved were invited accordingly and their statements were taken as the principal accused person mentioned two other accomplicies in the crime. In the course of investigations, it was discovered that Adamu withdrew monies in bits from a First Bank account number 3033389599 owned by one Porong Daniel Nash (a farmer in plateau state); and credited same to different accounts. 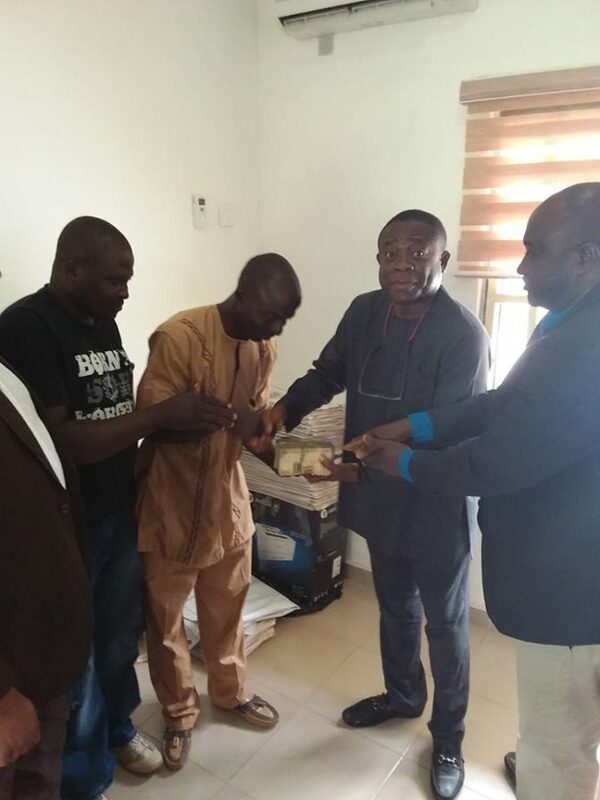 Consequently, all accused persons where arrested and recoveries were made to the tune of N939,000 (Nine Hundred and Thirty Nine Thousand Naira) only of which same was returned to the rightful owner by the Zonal Office.